A former governor of Sokoto State and presidential aspirant on the platform of Peoples Democratic Party, Attahiru Bafarawa, says if President Muhammadu Buhari is given 20 years to govern the country, he won’t fix the economy. 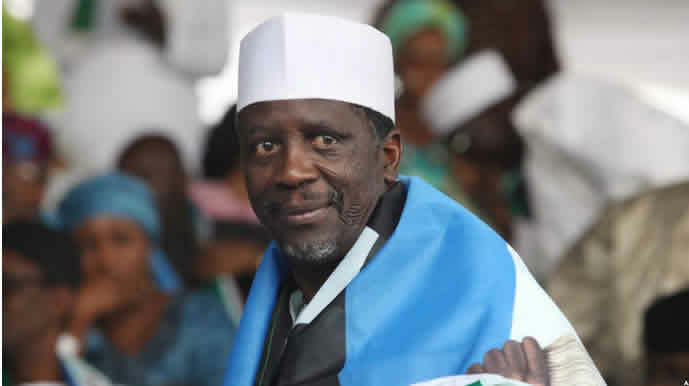 Bafarawa stated this while addressing PDP supporters in Owerri, the Imo State capital, in continuation of his campaign for his presidential ambition. Stating that Buhari had no business in politics, the ex-Sokoto State governor claimed that the President did not possess the leadership expertise to boost the country’s economy. He said Buhari’s election as the President in 2015 was a square peg in a round hole. He said, “The problem with Nigeria is that those in government today have no business being in politics. A military man can never be democratic. He can never change overnight. Urging the PDP members to elect as presidential candidate an aspirant who would be able to win at the 2019 elections, Bafarawa said “The PDP must strengthen our chances by electing as its presidential candidate one who can win the general election. Challenging other PDP presidential aspirants to a debate, Bafarawa also said he believed in restructuring and would make it happen if elected as the President.